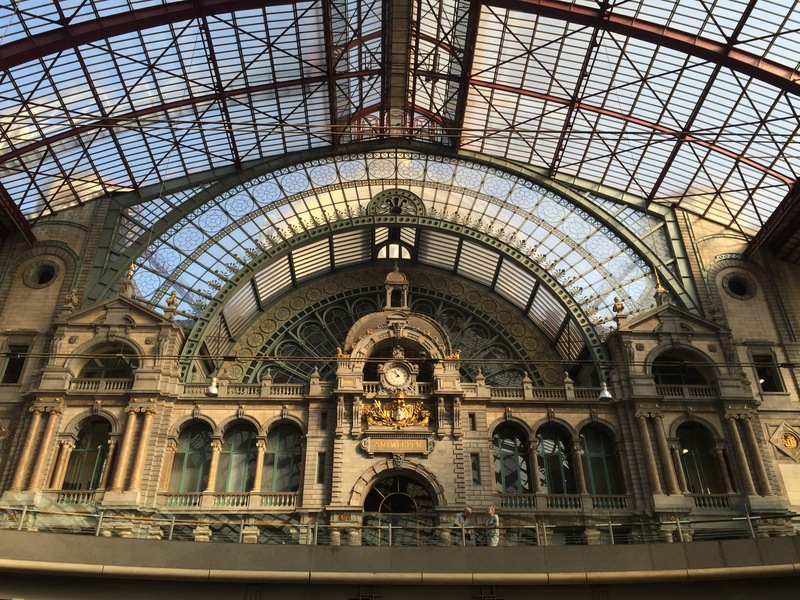 Our three weeks in Antwerp have come to an end. Three weeks is a long time, long enough to feel settled, to establish routines, to start feeling at home. Long enough to have specific, tangible things from daily life that you will miss when you leave. Drinking several small cups of coffee throughout the day instead of one big cup in the morning. Walking everywhere (though I’m looking forward to a few days of NOT walking everywhere, and also to not walking the Langeleemstraat). 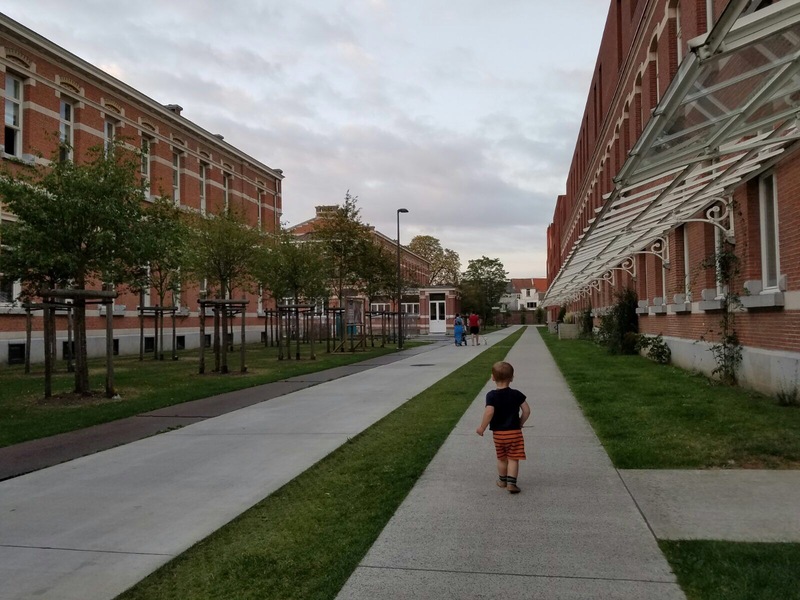 Fresh bread from various bakeries nearly every day – and walking to the bakery with the toddler while he narrates all of the trucks, trains, cars, bikes, trees, and basically everything else along the way. Being outside most of the day – an artifact of being on vacation more than of Antwerp. Mornings and afternoons and evenings in the garden with the family and all of the cats. Coherent meals, often with multiple courses. Fish, veggies, dessert. Wine or a pintje, coffee. Dinner that takes as long to eat as to prepare. Olives or other salty snacks served with drinks. Speculaas or other small sweets served with coffee. Bikes everywhere all the time. The toddler asking for his grandma, his uncle, and other people who were strangers when we arrived, but are now essential parts of his daily life. So here we are. It’s good to go home. It’s hard to go home. It’s good to know we’ll be back. It’s hard to not know when we’ll be back. It’s terribly sad to know the toddler doesn’t understand that we’re leaving, and that the bedtime goodbyes will have to last us for a long time. You do this when you travel, right? After a few days in a nice place, you start wondering whether you could happily live there, whether your vacation destination is actually Your Place in ways that your home isn’t. As we’ve walked around over the last week, we’ve found ourselves constantly comparing aspects of Antwerp to Chicago, of a potential life here to our very real life there. It’s a fun exercise, especially when we set aside the economic realities of an international move. 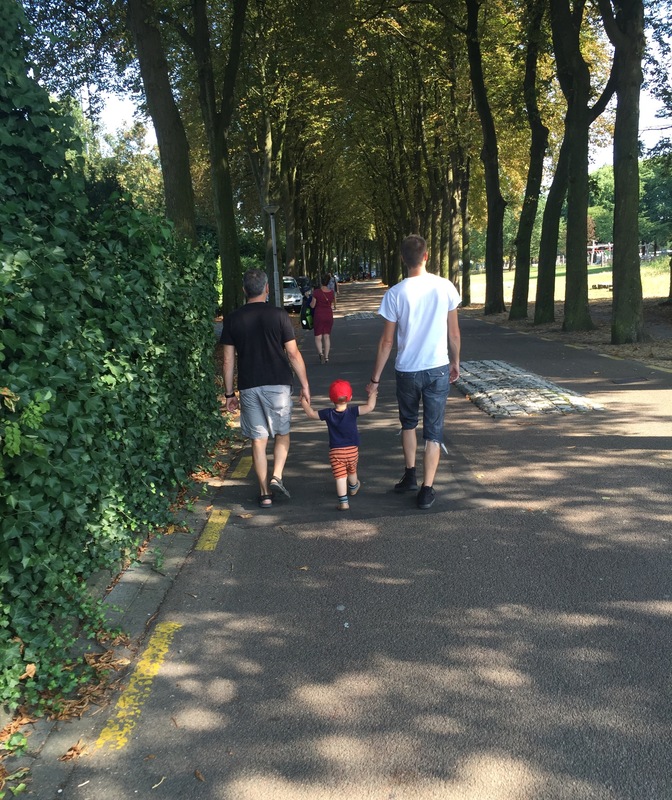 Parks: Antwerp’s city parks are lush and wild. Chicago’s parks have safer playground equipment which is a serious consideration for us right now. Cleanliness: While some Chicago neighborhoods (like ours) are littered with dog poop and broken glass, Chicago is on the whole cleaner than Antwerp, and not just because we put our trash bags in cans instead of on the street. Shower curtains: Belgium has a lot going for it, but it has far to go to catch up with the States on quality shower curtains. 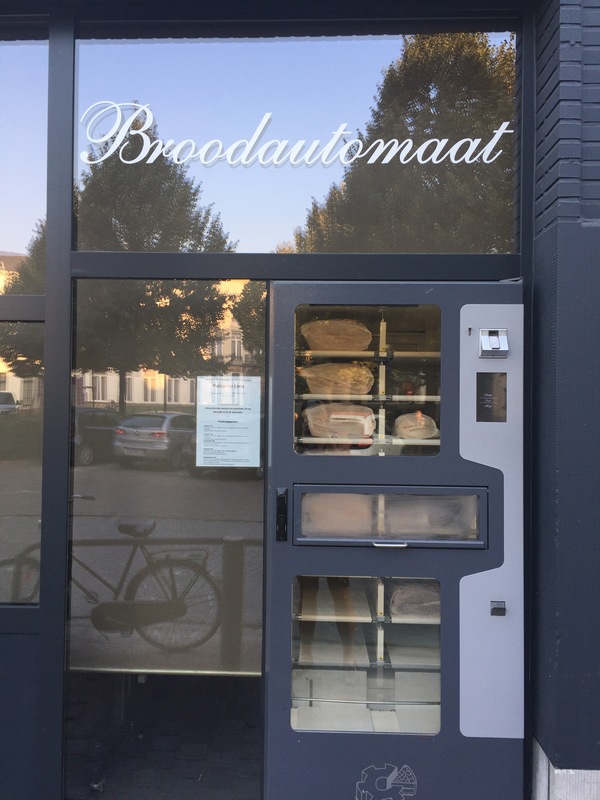 Vending machines: Many bakeries have bread vending machines so that you don’t have to wait until the morning for fresh bread. Bread. Vending. Machines. 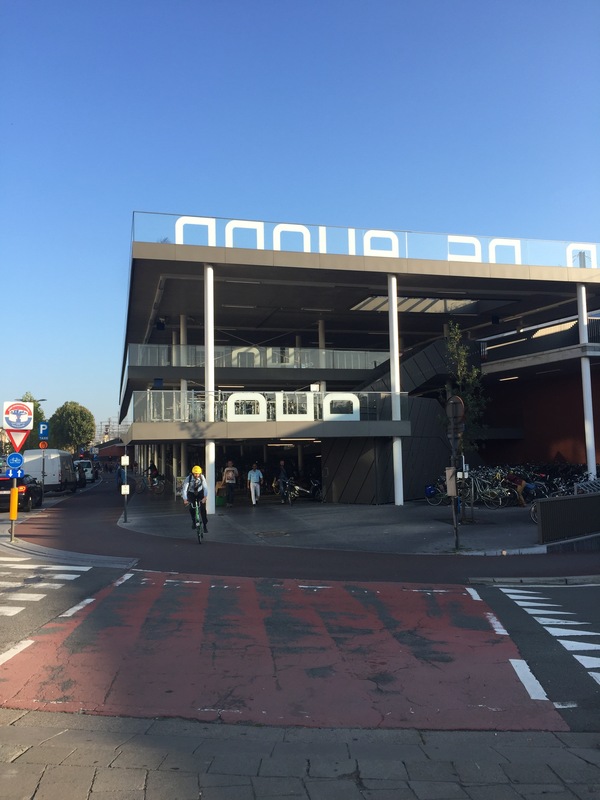 You can also buy things like croquettes and spaghetti bolognese from vending machines. Advantage: Antwerp. Windows: Many (most?) windows don’t have screens. I used to think that was great because it meant that there weren’t many bugs. I was wrong. This is one area where the US comes out way ahead. However, some windows open in two directions, which is also cool, especially with a small person in the house. Laundry: I went to the laundromat the other day and had my choice of regular detergent, extra white detergent, or black detergent. (I can think of more than a few friends who could use black detergent exclusively.) 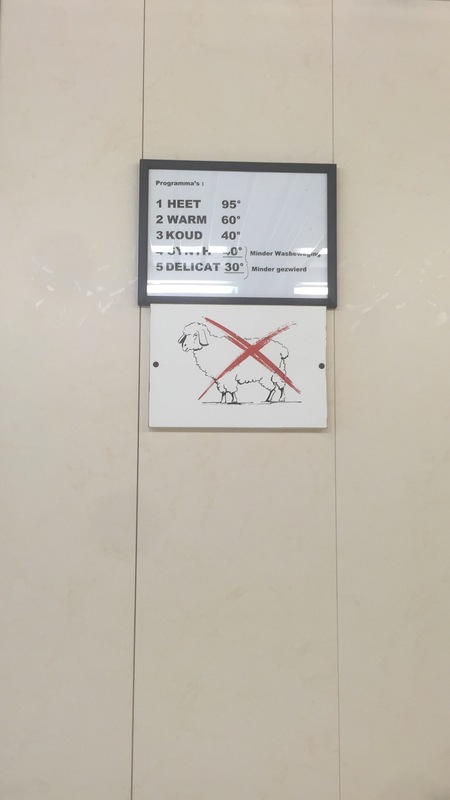 I also had my choice of 5 different wash temperatures, but no attendant to help me make sense of them. Coffee: While Chicago has more nice coffee shops, you can get a decent, fresh cup of coffee pretty much anywhere in Antwerp. Let’s call this one a draw. Veggie burgers: The incredibly wide variety of veggie burgers has come as a complete surprise on this trip. Even the small neighborhood versions of Delhaize, the main grocery store chain, have multiple types of fresh veggie burgers: butternut squash with Emmentaler cheese, broccoli quinoa, hazelnut, etc. We stopped at a cafe for a coffee the other day and they had four veggie burgers on the menu. It’s really impressive and makes the frozen options back home look pathetic. 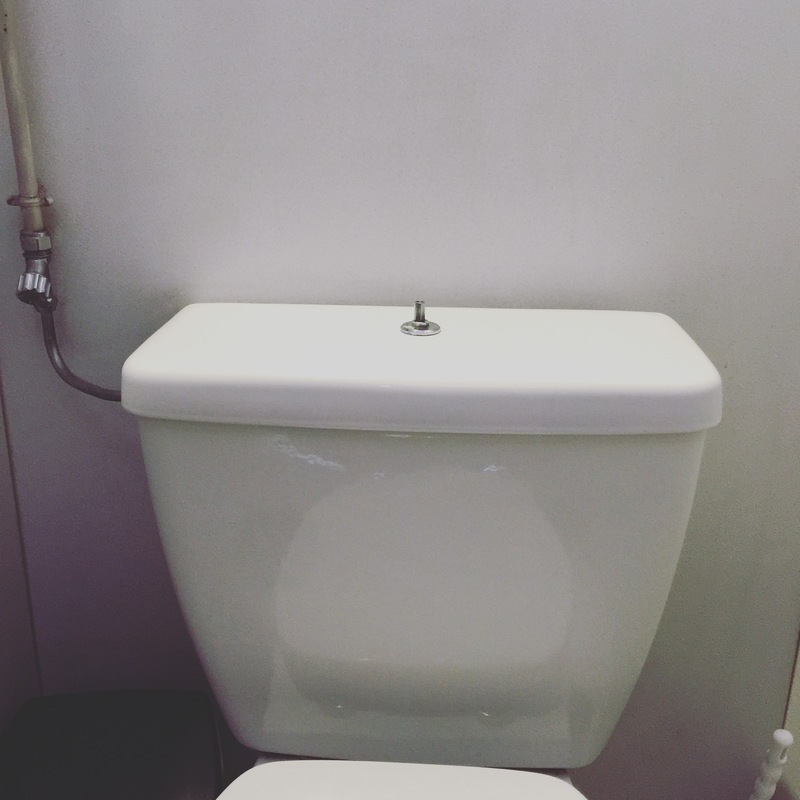 Toilets: While there are a few different toilet options at home, none are as confounding as those encountered here. As we near the end of our first week on Antwerp, I understand now why a week or two just isn’t long enough. It’s not that there’s too much to see or do – though there is plenty. It’s that it takes a few days to get your feet under you. To have whirlwind first and second visits with everyone. To remember which bakery is closed on Friday, which market is only on Saturday, which coffee shop is closest. To stay up too late drinking wine in the garden or listening to a band in a cafe while trying to explain American politics to incredulous relatives. To get into the flow. 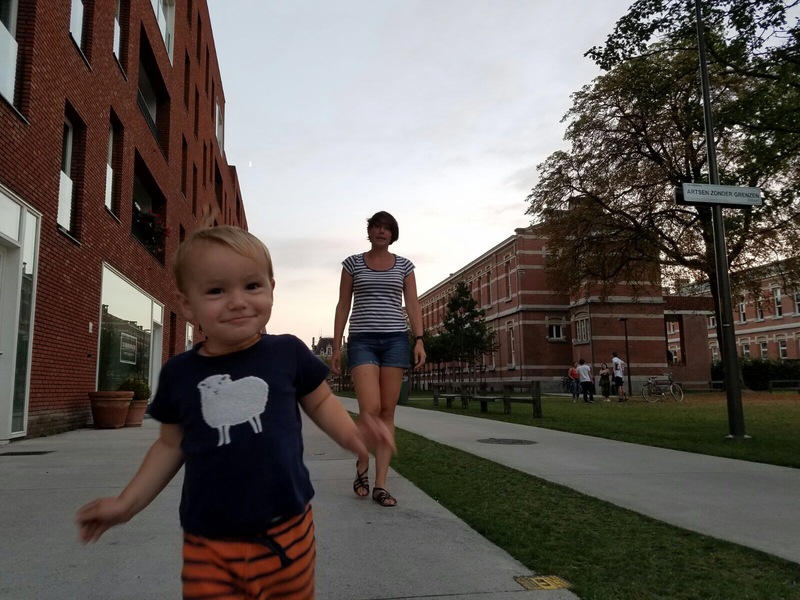 And then, of course, the toddler adjustments: day and night turned upside down, unfamiliar faces so excited to see him, playgrounds with sand instead of wood chips, none of the normal foods, napping at odd times. We’ve been here almost a week, with two more weeks to go, and our days have been spent almost completely with family: a trip to the wonderful zoo where N’s mom often eats her lunch among the wild animals, swimming in an exquisite naturally filtered pool where N’s dad does laps, walking on the left bank with N’s dad in exquisite weather (for us; too hot by Antwerp standards), exploring the children’s farm next to N’s old school, and lots of time in the park and relaxed hours in the garden with coffee or a meal and whoever is home. I feel more comfortable on this visit, more confident, more at ease. I was 9 weeks pregnant the last time we were here, and I don’t think I fully realized how hard that was until this week. I keep surprising N with my memory of places and directions. 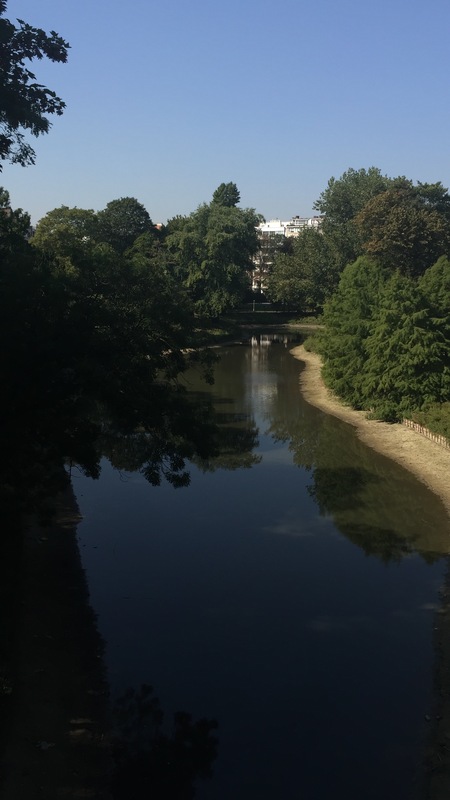 There have been many discussions of running routes (as I’m in the final weeks of marathon training), but they haven’t really been necessary – I’ve comfortably struck out on my own and as a result of doing so, have been able to show N things he didn’t know in the city of his birth. 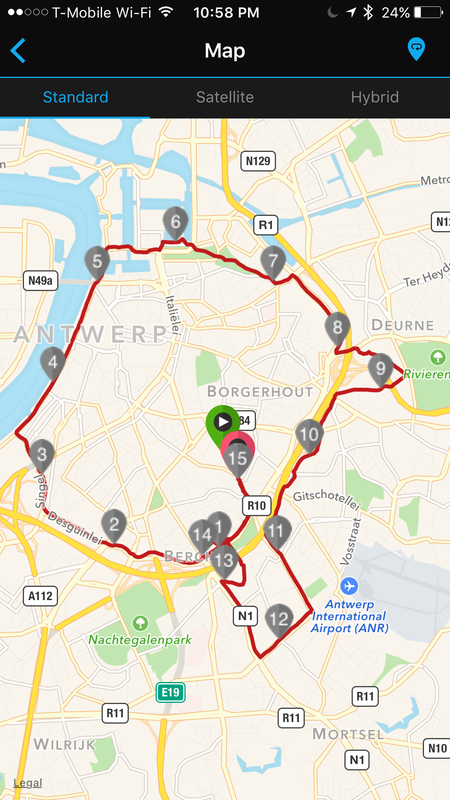 Yesterday I ran literally all around the city; next week I’ll do it again. Before we left, I told a friend how grateful I felt for all the things that made this trip possible: a job that gives me the flexibility (and pays me enough!) that I can take three weeks off with no problem and can afford to travel like this, a free apartment of our own that allows us to be with family while also having our own space, friends who take good care of our cat and our home while we’re away, a toddler who has proved to be as patient and adaptable as is possible for a little boy of almost two. 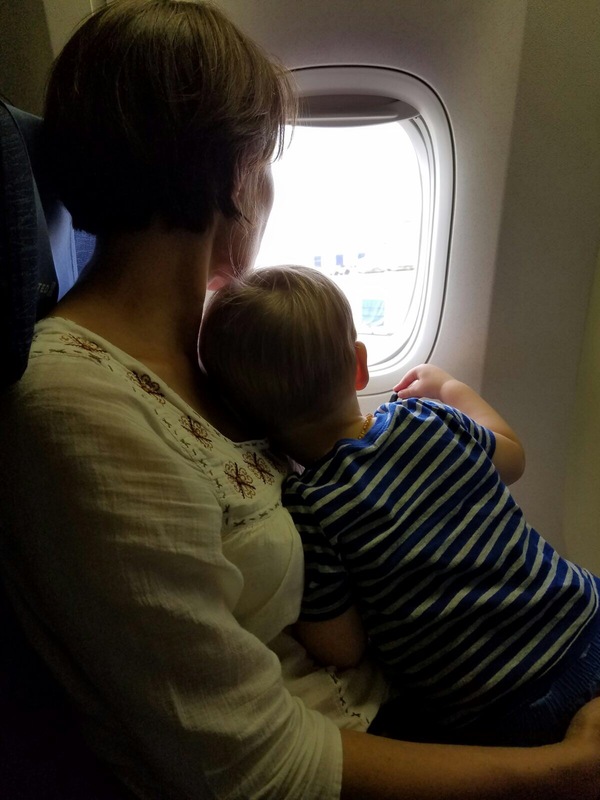 Travel with a toddler is about 300% more complicated than travel without a toddler. Add to that equation half of the family on another continent, and you’ll start to approximate the logistics and stress of the last few weeks. 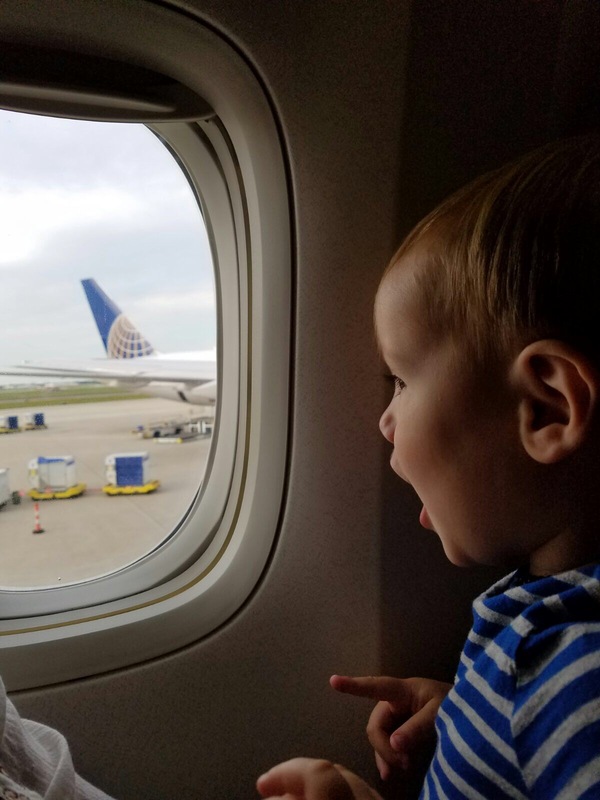 Our kabouter likes new experiences and adventures, but he doesn’t like being in the car for extended periods, so we were really not sure how an 8 hour flight padded on both ends by airports and transit and waiting would go. The short version: way better than expected, even though he only got 3.5 hours of sleep (and we obviously got much less). Aborted attempt at a morning nap meant he fell asleep 5 minutes before we got to the airport, and slept until we had to take him out at security. Preboarding with our stroller in a comically large bag, then sitting on the plane for almost an hour waiting to go. 30 solid minutes of talking about trucks prior to take off. Disney movies on 3 screens. Parent-selected media on 0 screens. A steady diet of freeze-dried mango. After 3 hours of solid wiggling, including frequent requests to nurse, I was about ready to lose my mind. I got him ready for bed just in time for dinner service. At least 4 times a flight attendant came by JUST as he was about to drift off. I have never been so angered by ice cream. Sleep punctuated by awful turbulence. We got about 5 hours between the three of us. But we survived, and without having to employ the majority of the bag of tricks, so we should have some surprises left for the longer daytime flight home.